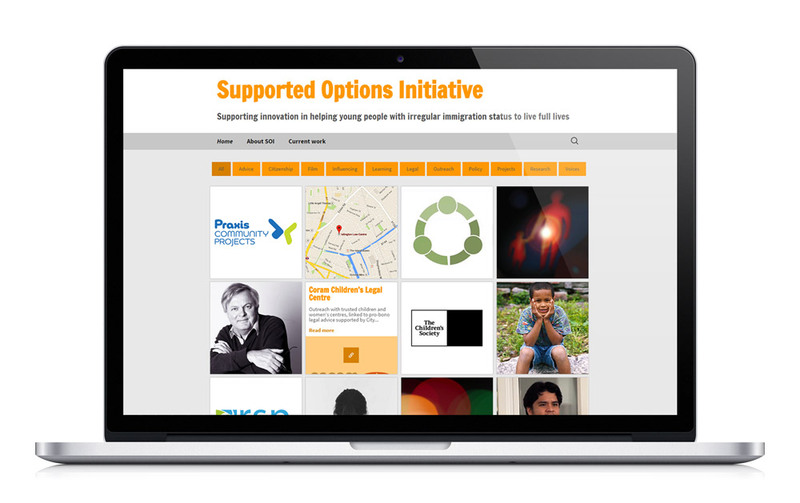 This is a web presence that I built from scratch for the Supported Options Initiative, an initiative of the Paul Hamlyn Foundation. The web site is a way of collecting together areas of funding into a coherent narrative. We’ve achieved this by using a tiled effect front page that can be filtered by selecting tags. Each piece of content can have multiple tags, this allows for some overlap which prevents the confusion that arises from forcing content into a category. The site is fully responsive and adapts beautifully to tablet and mobile devices. I’ve used WordPress for content management, a great choice for users who want to focus on content and not technical details.